Crochet is an easy craft to learn because you only need to know a few stitches to be able to make a wide variety of different projects. Learn the most common beginner crochet stitches with this basic crochet stitch guide. Within a short time you can learn how to make a crochet chain and a slip stitch to start your projects, and then you need to know at least one basic stitch. Soon you'll have a scarf, shawl, or blanket! This crochet stitch guide includes information about six beginner stitches, with crochet stitch tutorials, instructions, and videos to help you learn exactly how to work each fundamental stitch. Along with the basics, learn helpful tips, stitch variations, and a few project ideas too! Note: This guide uses US terms for crochet stitches. When working with UK patterns, be sure to convert the terms. Chain stitches begin most crochet projects. When you use a grouping of chain stitches at the beginning of a project, it is usually referred to as a "starting chain," "base chain," or a "foundation chain." A "turning chain" often starts each new row in a crochet project. The height of the turning chain, which is the number of chains you create, depends on the stitches used in that row. For example, a double crochet row begins with three chains. Crochet chains often connect other stitches in a crochet pattern, particularly when working in the round. 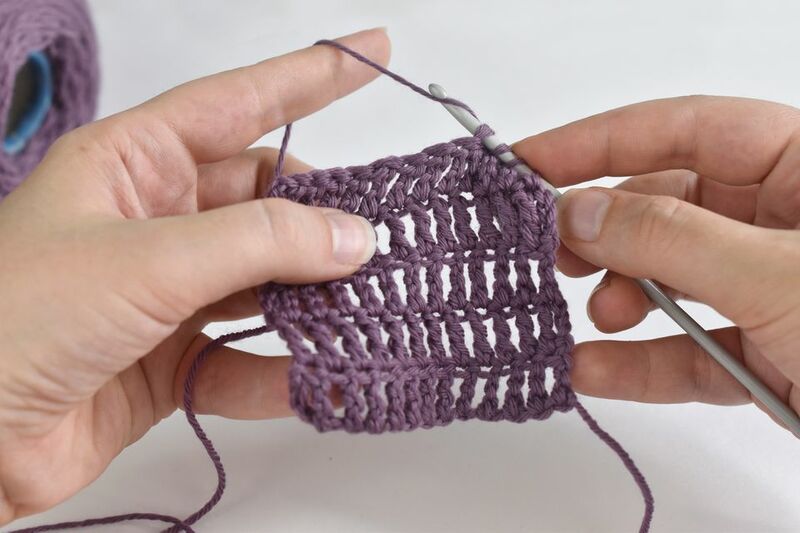 For example, throughout the classic crochet granny square motif, a "ch 2" separates double crochet stitches to create a space in each corner of the square. Some advanced crochet stitches use chains within the instructions to create the stitch. Picot stitch is a very common crochet edging. It incorporates a crochet chain to create a textured edge. Openwork lace or mesh, long fringe, and big loops all use crochet chains as a core feature of their design. If the only thing that you know how to crochet is the basic crochet chain, you can still make crochet items. For example, you can crochet a set of long chains, knot them together at both ends and make your first simple crochet scarf! Crochet slip stitches don't get a lot of attention because they are small and simple, but they are the foundation of all crochet. The abbreviation for slip stitch is usually "sl st". The most frequent use of the slip stitch is when working in the round. The crochet instructions will say something like " join with a slip stitch to form a ring" or "slip stitch to close round". Slip stitches are useful for joining one crocheted element to another. For example, you can place a pair of granny squares side-by-side and slip stitch crochet them together. Crochet slip stitches are often in the background, but there are opportunities to showcase this beginner crochet stitch as well. For example, in surface crochet, you can use slip stitches to add color and visual interest to the surface of a crochet or knitting project. It's like embroidery on crochet, using slip stitches as the embroidery. There are also some types of crochet, including Bosnian crochet and some forms of short row crochet, that rely entirely on slip stitches. In fact, the very first reference to crochet in history is a reference in the 19th century to shepherd's knitting, which is slip stitch crochet! Learning the crochet chain and the slip stitch sets the stage for making things, but you need to learn at least one more stitch to crochet a variety of projects. Many people begin by learning the simple single crochet stitch. Abbreviated "sc", this is a short stitch that appears in many different crochet patterns. 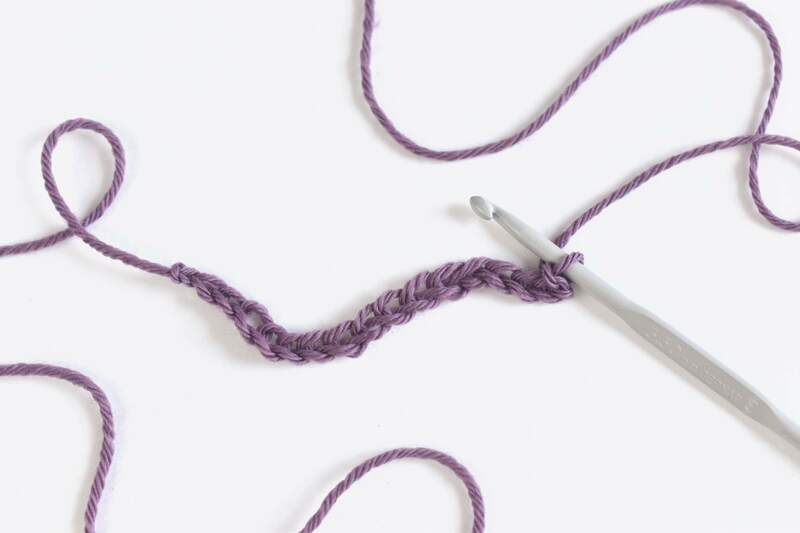 Single crochet stitch creates a dense fabric, but it can also open up more with different sizes of hooks or yarn, as well as altering the stitch. Once you learn the single crochet stitch, you can make it look different depending on which loops you work through. Single crochet is also the foundation stitch in all amigurumi crochet patterns. If you love amigurumi, you need to know single crochet. If you know single crochet, you're well on your way to making amigurumi. Half double crochet stitch builds upon the basic single crochet stitch by adding an extra step. It's best to learn single crochet first and then learn half double crochet. The height of half double crochet stitch is halfway between single and double crochet. It's a great stitch and it shows up in all different types of projects, so it's a good one to know if you want to master all the basic crochet stitches. Half double crochet is a little more open than single crochet, but it still offers density for warm projects. It also builds fabric more quickly than single crochet, which is helpful for when you want to make something in a hurry. Double crochet, abbreviated "dc", combines well with all the other basic stitches. You can use it in more ways than you can imagine! The double crochet stitch is the cornerstone of granny square crochet, filet crochet, v-stitch crochet and so many other popular crochet patterns. These styles and stitch patterns use the basic double crochet in a way that changes the look from basic to amazing. Once you learn the double crochet stitch, you can also make it look different depending on which loops you work through. For example, working in the back loop only creates a ribbed design. The treble crochet stitch is also known as the triple crochet stitch, and it's abbreviated "tr". It's taller than the double crochet stitch but follows the same basic steps. Once you know how to double crochet, you can make many different types of taller crochet stitches including the double treble, triple treble, and taller. This allows you to quickly add height to a project. Taller stitches make looser fabric that drapes and has more "breathability". Once you've learned these basic crochet stitches, you can do almost anything in crochet. A great next step is to start combining the basic crochet stitches to create new stitch patterns. For example, the crochet seed stitch alternates single crochet and double crochet stitches and the crochet moss stitch alternates single crochet with chains. However you put these stitches together, you're well on your way to becoming a proficient crocheter!